Marco Santori: "Bitcoin is not unregulated"
Although the company cannot confirm if any client has paid with Bitcoin yet, Marco Santori says that this new option was introduced due to the request of some clients. Nesenoff & Miltenberg LLP is accepting virtual currency in exchange for legal services since July 1 and counts with the help of BitPay to manage the payments. Bitcoin Examiner talked with Marco Santori and he answered a few questions about this new welcome relationship between cryptocurrency and one of the leading legal firms in New York. Why did you decide to accept cryptocurrency? 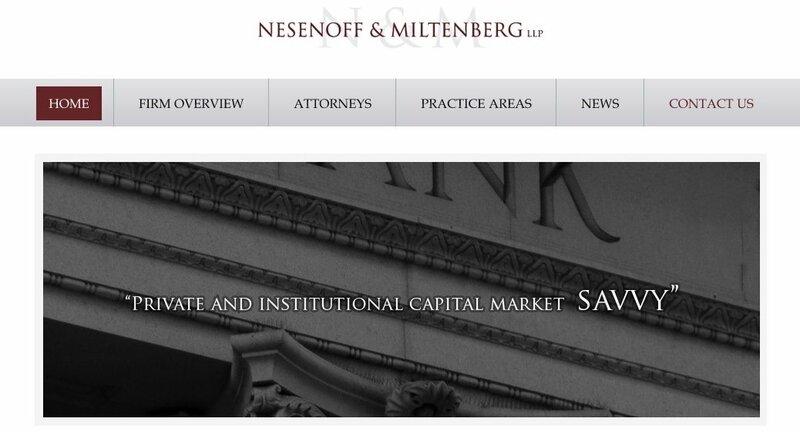 Marco Santori – Nesenoff & Miltenberg, LLP is one of the few firms actively engaged in the evolving area of digital currency. We work with businesses involving three major market segments: Payments and Transmission, Investment and Mining. We are committed to providing those qualified clients with the flexibility and confidence to meet their business needs and cash flow planning. That is precisely the value that the firm seeks to offer its clients. Did you receive a request from a client asking to pay in Bitcoins or was it an initiative of the firm? More than one client requested the option to pay in Bitcoin. Have you received any payment in Bitcoin so far? As I am sure you understand, we treat our client confidences with the utmost respect. Consequently, we do not discuss the volume or character of the cash flow of the firm or its clients. Being a law firm, how do you see the lack of regulation and the recent problems between Bitcoin and the financial authorities? This is very good question with a very long answer. In short, though, Bitcoin is not unregulated. In fact, it is quite a heavily regulated space for some businesses. Federal regulators in the US, for example, have specifically stated that they support innovation in the currency space, specifically with “convertible virtual currencies” such as Bitcoin. Bitcoin, as a digital currency, and the markets that accept Bitcoin are evolving, literally, on a daily basis. As with any new form of commodity or currency, we expect that the market will become more efficient as it is adopted by a larger audience.